Wise Studies was founded in 2014 by Ryan Spielman and Spencer Barron. Our mission is to make available in-depth audio learning courses focusing on the texts and teachings of the world’s great contemplative traditions. We work with leading scholars, practitioners and experts in their field to produce quality education for serious students of contemplative study. We aim to produce courses that are engaging and informative with authentic, well-researched scholarship supporting the topics we present. We are not only the founders of Wise Studies we are consumers, as well! One of the reasons we are producing these courses is for our own study. We are passionate about deepening our knowledge of the traditions that have brought so much wisdom and joy into our lives. We consider it an ongoing lifelong process. It is our hope to disseminate these courses to a broad audience and bridge the gap between the academic world and general public. It is important for us to maintain the rigorous standards that scholars have for their research, yet, we also want to make this research available and digestible for non-academics. Our authors have done an amazing job of producing in-depth material that is clear, comprehensible and engaging. I have been a Yoga and meditation teacher since 1995. From a young age the spiritual journey has been the driving force of my life. Wise Studies is the natural progression of my passionate interest, deepening my understanding of the traditions that have brought so much happiness and peace into my life. In addition to my offerings as a Yoga teacher I also lead groups and facilitate workshops dedicated to personal growth and awakening in London and around the world. I host the Lonely Guru podcast dialoging with prominent figures in the world of yoga. I also write and perform spiritual comedy songs that I’m sure Wise Studies customers will enjoy. www.ryantrue.com. I loved Religious Education, History and English at school. I began an intensive search for personal liberation quickly discovering a spiritual teaching that had its roots in Hindu mysticism. 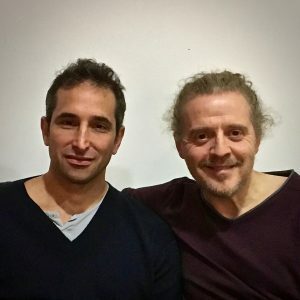 I met Ryan while participating in a practice with truth & authenticity at its core underpinned by the wisdom traditions we were both passionate about. Establishing and facilitating this relational practice in London and throughout the world I have expanded my interests and understanding. The creation and development of Wise Studies is a natural continuation along this path. In addition to my work with Wise Studies I spend a lot of my time in the community working with disadvantaged adults and children with learning disabilities.